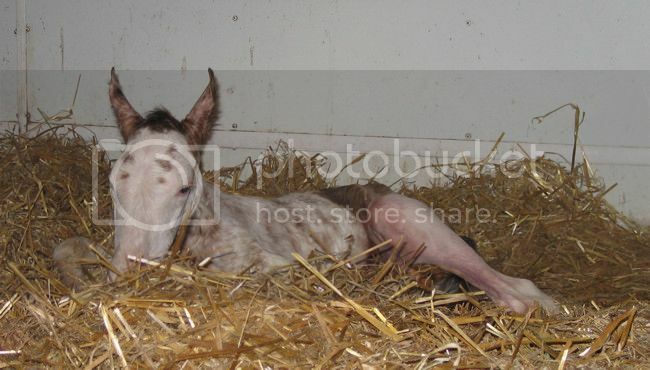 Pedigree Query • View topic - TCF Nightlight had her foal by Bliss MF this morning! TCF Nightlight had her foal by Bliss MF this morning! 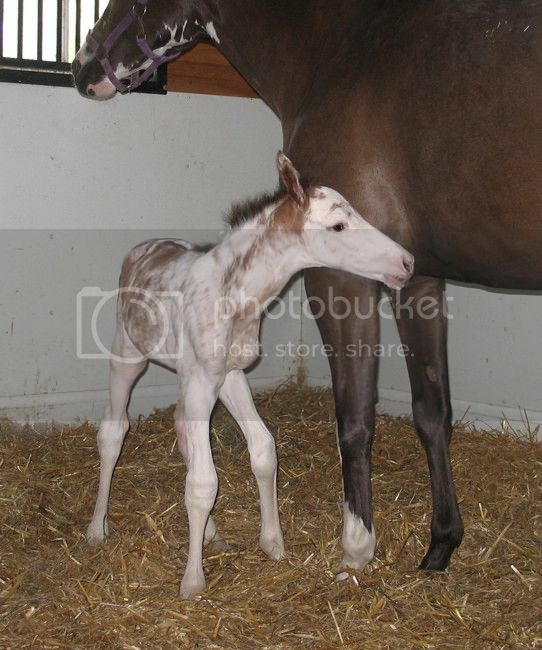 Post subject: TCF Nightlight had her foal by Bliss MF this morning! Was hoping for buckskin or smoky black but bay will do just fine as well! Oh. Wow. Red White and Blue..
lovely baby and gorgeous mum !! Doggone it, I looked at the Mare Stare first thing this morning and she was just standing around looking bored! I should have checked back in! Lovely baby, TC! Spectacular even! Beautiful colt! And so fascinating that you appear to still have beautiful head shape of Guaranteed Gold coming through and a big wow at how Puchi Trap's color genes are popping up in this next generation. It is almost as if they were subdued a bit in Nightlight and came out with a big "pop, look at me" in her colt! The balou De Rouets also throw very loud foals when crossed with LP carriers! Great! Best of all, that this valuable mare produced a healthy foal and that she came out great! This mare has a very auspicious/interesting future. Congratulations! Very nice - I especially like the 2nd picture. He looks regal. WOW, cute! Almost looks buckskin. Have to wait and see. Love how the DW came through. She must have some suppressor genes and didn't pass them on. Do you have a link to Bliss? I am dyslexic it can be funny! Bliss is a lovely WB. I'm really looking forward to the Panoramic x NIghtlight foal!! I'm really looking forward to the Panoramic x NIghtlight foal!! He looked buckskin to me too! 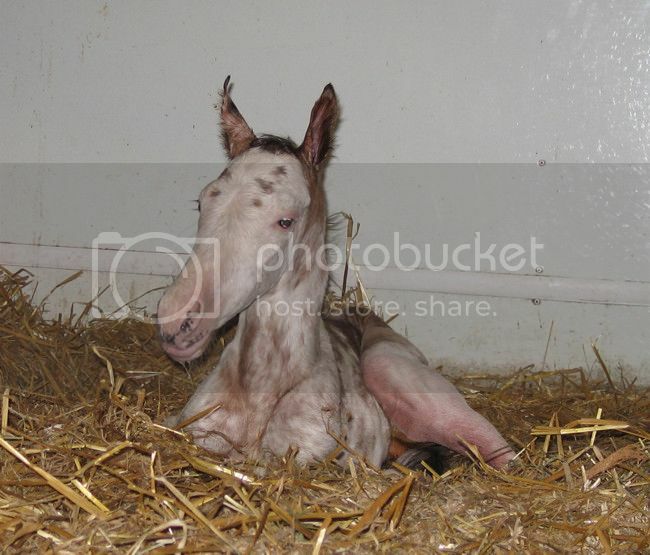 congrats on a beautiful colt.